Photos by Luke Hollister from a Backpack Journalism trip to the 2018 Dakar Rally. 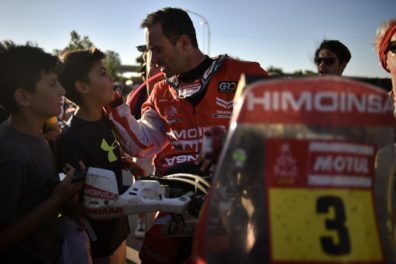 Gerard Farres Guell, a top ranked rider in the Dakar Rally, greets a young fan after racing through desert conditions for roughly 11 hours. 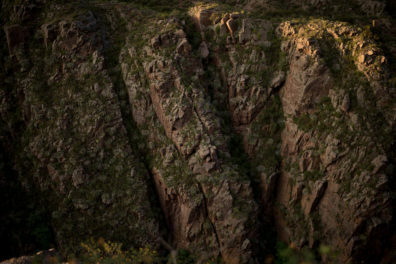 Terrain that racers drove through in Argentina ranged from rocky hills, tall sand dunes to cactus filled plains. 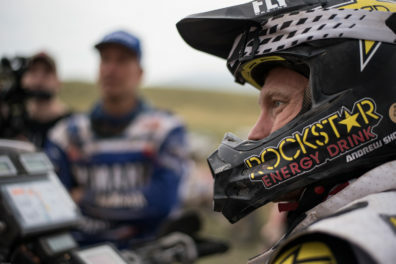 For competitors of the rally, injuries were common. 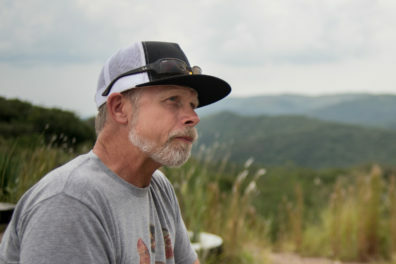 Andrew Short, moments after riding across the finish line, reflects on his past two weeks of racing. 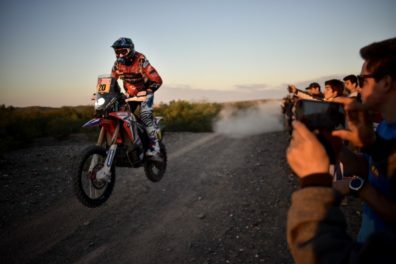 Ricky Brabec flies past cheering Argentinian fans at the beginning of stage 13, the second to last race of the two-week rally. 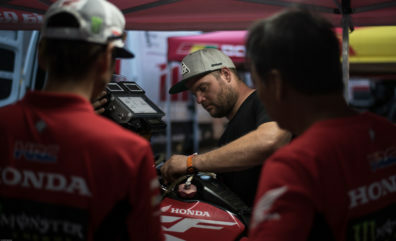 Mark Samuels, a first timer of the Dakar, prepares for the next day’s course January in San Juan, Argentina, at the Dakar bivouac. 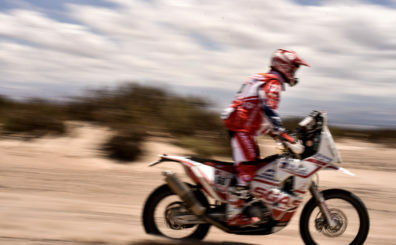 Darren Skilton, a retired racer of the Dakar Rally, on his way back to Cordoba to watch the finishing ceremony. Jonathan Nevado, a Spanish racer, rides the last parts of stage 11. 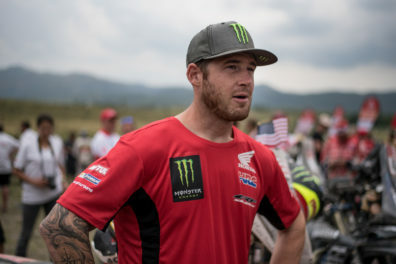 Ricky Brabec came to the finish line to cheer on his fellow racers, even though his bike malfunctioned, preventing him from completing the rally.